“We express our dismay and denunciation over President Rodrigo Duterte’s appointment of former Armed Forces of the Philippines chief of staff Roy Cimatu as the new Department of Environment and Natural Resources (DENR) Secretary. Duterte has clearly erred in appointing Cimatu as DENR Chief. A military man in the DENR’s helm would betray the people’s longstanding clamour for social justice and environmental protection,” said Kalikasan People’s Network for the Environment in a statement. The group said Cimatu has no track record on addressing environmental issues and instead has a record of defending environmental plunderers and engaging in corruption. They urged Duterte to reconsider this decision. 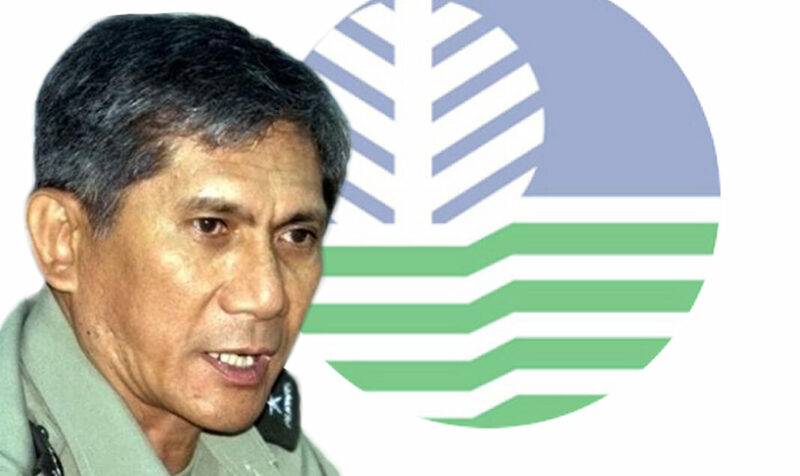 In their statement, Kalikasan recounted that in 1994, Cimatu as 603rd Brigade of the Philippine Army created the “Task Force Lumad” to guard the Alsons logging tenement and train CAFGU paramilitaries also to protect the logging area. The action was Cimatu’s response to the pangayaw or tribal declaration of armed defense by Ata-Manobo leaders of the indigenous organization Salugpungan against the massive logging operations of the Alsons company owned by the powerful Alcantara clan in Mindanao. Kalikasan also pointed out Finance Secretary Carlos Dominguez has worked with Alsons for the longest time. “The former AFP Chief of Staff was also involved in the 2011 AFP ‘pabaon’ corruption scandal where retiring chiefs of staff were given hefty ‘send-off money’ running in the millions, with Cimatu allegedly received P80 million. It is unacceptable that a conduit of corruption will be reintroduced into an agency where billions of pesos worth of natural wealth are regularly transacted,” said Kalikasan. Kalikasan said irresponsible miners and loggers flourished and corruption in the DENR transpired during the tenure of former DENR Sec. Angelo Reyes, also an AFP chief of staff, from 2006 to 2007. Kalikasan said Duterte could have appointed progressives Luz Ilagan or Neri Colmenares. Ilagan served as representative of Gabriela Women’s Partylist, while Colmenares served as Bayan Muna representative. Both were proponents of the People’s Mining Bill in the House of Representatives. The draft law aims to reorient the mining industry towards public interest and national industrialization. The bill was marked priority, but saw no progress since Rep. Carlos Zarate of Bayan Muna was relieved as chair of Natural Resources Committee, observably following his “No” vote for the majority-bloc pet bill for the reinstitution of death penalty. The post of DENR secretary was among four Cabinet positions that Duterte offered to the Communist Party of the Philippines (CPP) upon his triumph in the elections, as a gesture of goodwill and invitation for unity with the revolutionary movement in the Philippines. The CPP deferred the posts to a list of known progressives Duterte may appoint in his Cabinet. “Duterte’s prior plan of offering the DENR position to the recommendation of the CPP would have produced sterling leaders of the same caliber as Social Welfare Secretary Judy Taguiwalo and Agrarian Reform Secretary Ka Paeng Mariano,” responded Kalikasan to an interview with Manila Today. “Sayang si Gina (It’s too bad about Gina). I really like her passion…But you know how it is. This is democracy, and lobby money talks,” he said in a speech on May 4 at a gathering of doctors in Davao City, suggesting that business interests prevailed in the Commission of Appointments decision to reject Lopez’s appointment. But with Cimatu’s appointment, Kalikasan finds that Duterte does not manifest a pro-people stance on the environment. “The space for progressive politics of change in the Cabinet continues to shrink with Cimatu at the DENR,” said Kalikasan. Kalikasan National Coordinator Clemente Bautista said military, big landlords, bureaucrats, and bureaucrat compradors dominate the Duterte cabinet. “Though progressives remain their number is decreasing and probably their influence or capacity to implement reforms might also decrease. More than ever, stronger peoples’ movement are needed to fight to maintain and fight for progressives in the government and push it to implement positive reforms,” said Bautista. Next articleHow much does a banana cost?